One of our local businesses, Intense Health, came to breakfast to explain how to quickly stay fit at any age. Marcelo, the owner talked about how technology is helping speed up workouts for each stage of our lives. Tony, Bruce, and Andrew captivated by the meeting (and the Happy Dollars). 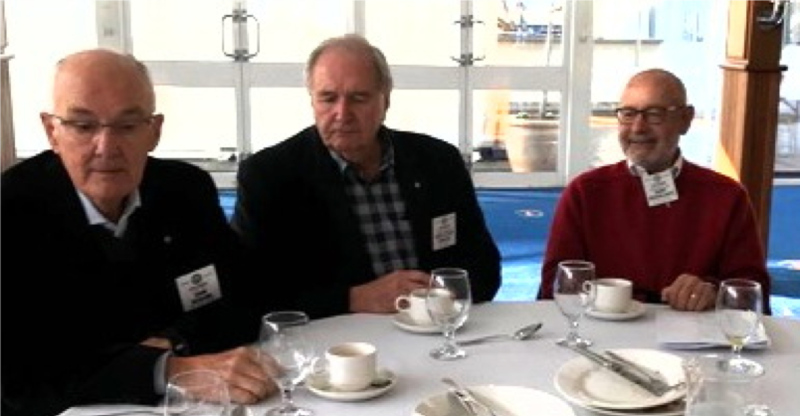 Marcelo and his wife have been connected with the Applecross Rotary for a couple years now. 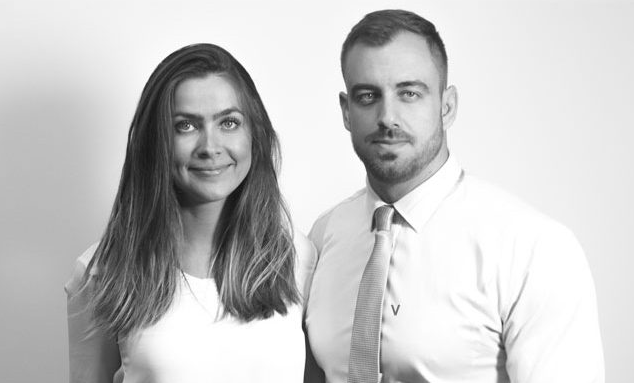 They work together across a group of Intense Health fitness locations around Perth. Marcelo mentioned how research on room temperature and computerised tracking of strength improvements mean less time in the gym. He shared several examples of how the machines, nutrition, and frequency change to fit each person's abilities. So, what are "Happy Dollars"? If you noticed in the intro, Happy Dollars captivated our audience. This is a collection of gold coins celebrating anniversaries and fortunate events. Applecross Rotary has some evening events coming up. We have a sausage sizzle and social gathering on Thursday 30 August. We've got dinner with the Rotary District 9465 Governor, Robyn Yates on Tuesday 4 September. Finally, we will gather with our sister Rotary Clubs for a Cluster Dinner on Wednesday 19 September. 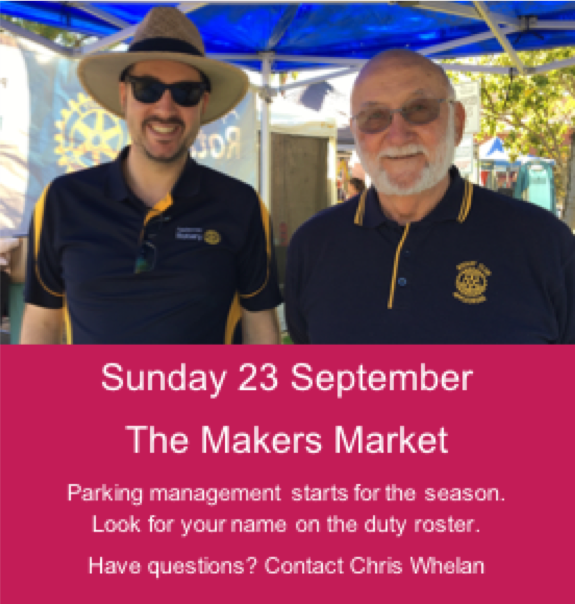 Find our members in the parking lots at the Perth Makers Market (Heathcote Arts Precinct) on Sunday 23 September. Our Rotarians direct traffic in the lots and collect a gold coin donation for local activities. Our Rotarians are also working hard in the background preparing for the 24 November 2018 Jacaranda Festival.